This circular is based on our experience of assisting technology transfer organisations with obtaining patent protection. We hope that it will assist such organisations in assessing the inventions they review and in working efficiently with patent attorneys. This circular is written very much from a patent attorney’s perspective and does not comment on wider issues such as how to assess the commercial worth of an invention or exploitation of other IP rights. The advice in the circular is generally applicable to all technology areas. 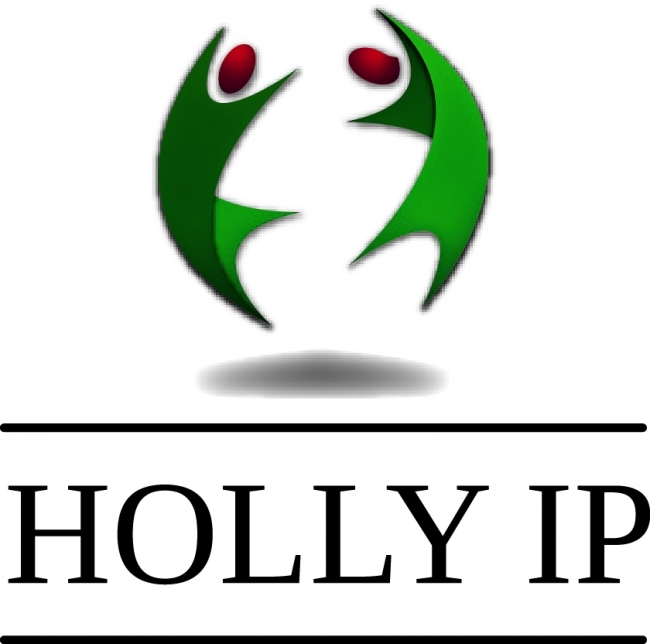 However the specific examples that are given are from the chemical and biotech areas reflecting Holly IP’s core areas of expertise. For the purposes of this circular it is assumed that the tech transfer office is associated with a university or is in an analogous situation where it assists the commercial exploitation of work carried out by scientists who are academics. A tech transfer office is usually in the position of reviewing one-off scientific findings that may soon be made public. Unlike the position in research companies, a tech transfer office will usually have limited influence over the timing and content of publications by the scientists and will probably also have limited influence over their future work. One consequence of these considerations is that there may only be single opportunity to file a patent application to cover the relevant technology. In view of that it would be expected that the scientific finding would be a significant development allowing broad claims to be drafted in a patent application. This is a different patent strategy from those used by research companies where there are typically a series of related filings, some of which may be directed to small developments. A patent provides a powerful monopoly right over an invention and it is usually essential to file a patent application before a commercial party will take an interest. However whether or not to proceed with filing a patent application is a complex and potentially costly decision. Thought needs to be given to the likelihood of successfully obtaining useful patent protection and also to whether there are complications on the case that will lead to future difficulties and increased costs. any other information that is potentially relevant to use or ownership of the invention, such as contractual obligations concerning patent filings, use of confidential information or use of materials provided under agreements. Whilst the tech transfer office may make an initial assessment of what might be claimed given the apparent contribution, a more comprehensive assessment should be done by a patent attorney before a decision is made on whether to proceed with filing a patent application. It is not the purpose of this circular to provide detailed advice on other issues. However the tech transfer office will obviously need to consider whether the finding by the scientists can be exploited commercially and how valuable it could potentially be. It will also need to ascertain who the inventors are, who owns their rights and whether the inventors are under any obligations that might be relevant to a patent filing. If there are outside parties that would have rights in a patent application, it would clearly be advantageous to have agreements in place with them before a patent application is filed. A patent attorney will be able to advise on what could be claimed in a patent application based on the scientists’ work. For a given scientific finding it can sometimes be difficult for the non-specialist to see all the different aspects of the invention that that can be claimed. This is particularly true in biotech. Patent Attorney advice will normally be needed to see how far it is possible to extrapolate from the scientific finding. For example the finding of the genetic mutation that causes a particular disease condition would be expected to lead to diagnostic, therapeutic, screening, polynucleotide and kit claims. Consideration also needs to be given to the work the scientists are planning to do in the priority year, and whether that needs to be foreshadowed in any way in the patent application. In particular thought should be given as to whether there need to be claims in the patent application that reflect the work that will be done. Another important fact to consider is whether there are likely to be future patent filings on downstream inventions from same scientists. The patent application will be prior art for such future patent filings, and so if there are likely to be future filings the patent application needs to be written in a way that minimises its prior art impact on those filings. Further the overall strategy will also be affected by whether the scientists are planning to publish their work in the near future. The prior art effect of such a publication may make it difficult or impossible to obtain patent protection for any subsequent work. In this situation the decision may be made to claim as broadly as possible in the patent application given that it may be the only opportunity to gain protection in this area. Sometimes it is difficult to know how much to claim in a patent application. For example, it may be felt that broad claims are appropriate, but there may also be the fear that having broad claims may lead to objections of lack of support if further data is not generated in the priority year. In such a situation a strategy of filing more than one patent application could be followed; one with broad claims and one with narrow claims. This will obviously lead to increased costs, and so normally when such a strategy is pursued the intention is to abandon one of the applications as soon as possible. Usually that would be either at the end of the priority year (at 12 months from the initial filings) or at the end of the International phase (at 30 months from the initial filings). Ultimately the patent application is required to have claims that are arguably valid and which cover subject matter capable of commercial exploitation. Ideally such claims will be broad and be capable of being enforced. Certain claim types, such as screening claims, only cover activities that can be done privately (for example in a research lab) and so infringement can be difficult to detect. Product claims tend to be easier to enforce. Further the claims should also be drafted to reflect the main interests of commercial parties. For example, if the invention concerns a polynucleotide and would be of interest to companies that make DNA chips, then consideration should be given to adding claims directed to DNA chips comprising the polynucleotide. Input from a Patent Attorney should allow the tech transfer office to get a good idea of what the main claims would be, what the arguments would be in support of the claims and the likelihood of the patent application being allowed. Often inventive step is the most problematic issue, and the availability of good inventive step arguments may be a determinant of whether or not to proceed with filing. If the arguments in support of patentability are complex or weak, then examination will probably be more difficult and costly. In such a situation there would need to be clear reasons to think that the case was commercially valuable. In a tech transfer situation, where there is less control over the scientists, it is sometimes found that the scientists have already published (or disclosed in another way) part or all of the invention. In such a situation grace periods are available in many territories to nullify the prior art effect of a disclosure by the inventors. In particular, the US, normally the most important territory, has a one year grace period for inventor disclosures. The grace period may be shorter in other territories. However if grace periods are going to be utilised then care has to be taken to ensure that all conditions are met for use of the grace period. For example in certain territories the PCT route is no longer available if the grace period is going to be used. Use of grace periods will however increase costs. The patent application should be filed as soon as possible to obtain the earliest priority date and to minimise the possibility of a public disclosure of the invention by the scientists. Preferably the patent application should be filed before any discussions with potential collaborators and commercial parties occur, even though these discussions will be confidential. Patent protection is expensive and the costs escalate as the case progresses. The end of the priority year (at 12 months) and the end of the international phase (at 30 months) are appropriate time points to consider whether or not the application should be abandoned. Proceeding beyond the international phase can be expensive and normally that would only be done if a commercial party had taken an interest. Patent Attorneys can be expensive. However the costs of working with Patent Attorneys can often be minimised by making sure that they are used efficiently. Patent Attorneys will usually charge based on the amount of time they spend on a case and therefore a tech transfer office needs to control this by ensuring they are not given tasks that could be done by the tech transfer office or by the scientists. Often it is best not to let the scientists contact the Patent Attorneys directly. Instead all communications should go via the tech transfer office to ensure that the Patent Attorneys are only used for tasks none of the other parties can do.